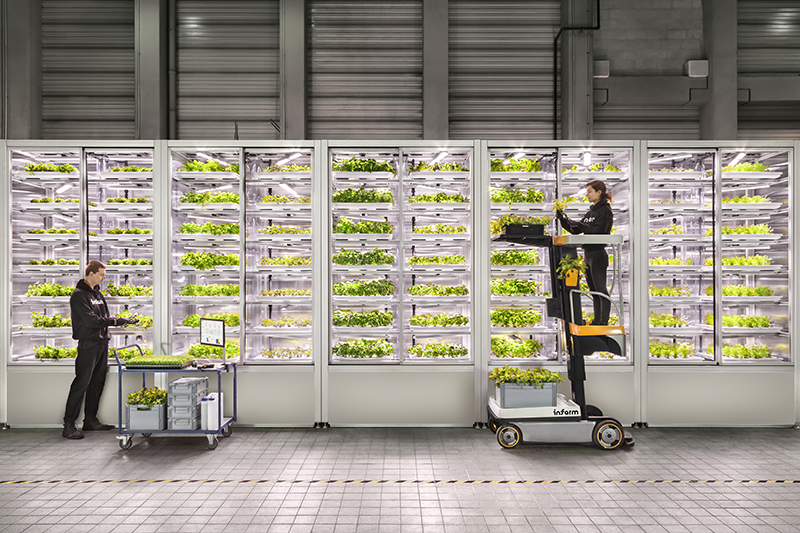 We just announced that we have led the Series A investment into a company growing herbs and salad. Ok, it is a lot lot more that that. Global food demand is increasing at a dramatic rate and more people are moving into cities putting increasing strain on fresh food supply chains — it is estimated that by 2050 5–7 billion people will live in cities. At the same time, much of the “fresh” produce we buy in supermarkets is somewhat emancipated having travelled hundreds or thousands of miles from its source — just look at the bags of salad which turn into mush a few days after bringing them home. Not only is this supply chain inefficient, environmentally damaging and expensive to source, it also taste pretty bad and has been drained of any good nutrients. Supermarkets are also looking for new ways to bring customers into their stores as the rise of food delivery (in all its guises) proliferates. Infarm is early in their journey to solve all of these problems: to bring fresh food production into the hearts of cities, reduce the carbon footprint of transportation, provide healthy and tasty produce to customers and help revitalise and make good use of commercial property that is falling into decay/seeing decreasing footfall. Erez, Guy and Osnat (three global citizens heralding from Israel, now based in Berlin) have spent the last few years refining a modular (vertical) farming system. These “infarms” couple innovative designs and technologies (LED growing lights, “sunflower” tray system, etc) with a networked approach where all farms are connected and controlled remotely from a central farming platform that learns the best growing “recipes” (combination of watering cycle, light, pH level, temperature, nutrients) for each for each plant to thrive. The infarms can be used one per location — and one farm can deliver up to 1,200 plants per month — or can be coupled into a larger farm depending on requirements. For supermarkets, they get a farm-unit that can easily be installed in-store as a replacement to existing POS for herbs, leafy greens etc. For consumers they find their produce growing in the store and that has been freshly harvested ready for them. It is hard to put into words but the taste and texture of the the produce is a world apart from any alternative. With the Series A investment we are looking forward to work with the Infarm team as they roll out their offering to cities around the world, learning and building from the success of deploying into Edeka/Metro stores and other locations in Berlin. We are joined in this round by new investors Triplepoint and Mons Investments LLC, and by existing investors Cherry Ventures, Localglobe and Quadia. Next time you have fresh salads, herbs and (soon) other vegetables, remember to ask if they have “Infarm inside”.